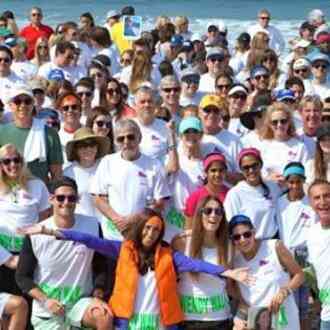 Since the first walk in 2010, Wendy Walk has raised more than 3.5 million dollars for Sarcoma cancer research through social and athletic events, most notably our walks in New York, Miami and Los Angeles. Through the generosity of our donors, we are able to fund the most promising studies to develop new innovative treatments for sarcoma and to serve as a valuable resource for those impacted by this rare disease. Please pick your very own square with a shoe to donate! Please pick your very own square with a shoe below to donate! 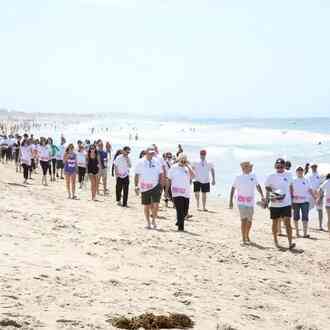 Wendy Walk was founded in 2010 by Ali, Matt, and Jackie Landes to raise funds and awareness for Liposarcoma, a rare form of cancer that their mother, Wendy, was diagnosed with. Despite her tragic passing in March of 2013, Wendy's legacy has been kept alive through the organization and continues to be an inspiration to others battling the disease. With a profoundly personal understanding of how cancer impacts the entire family system, Wendy Walk is committed to helping families cope with the unique challenges sarcoma brings. Wendy Walk works to provide courage, strength and hope to families and patients battling sarcoma through charitable social and athletic events held all over the country. 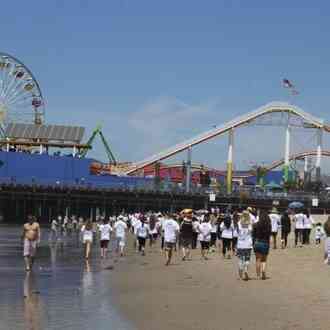 The organization's most notable events are walks which take place each spring in New York City, Miami and Los Angeles. 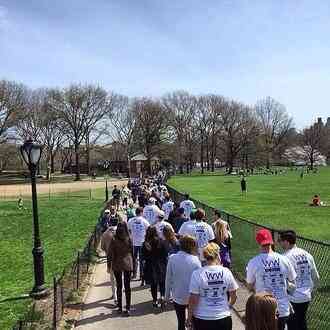 Through the walks, supporters have contributed over $3.5 million. 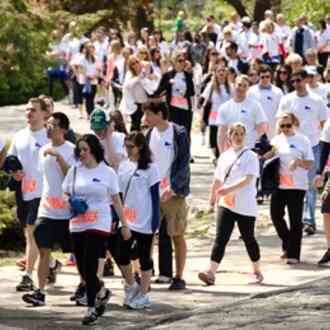 The funds raised allows the Wendy Walk to continually fulfill its mission to find and develop new innovative treatments for sarcoma and serve as a valuable resource for those impacted by this rare disease. Wendy Walk continues to send strong messages of hope and encouragement to Sarcoma patients and develop a larger sense of community and eradicate isolation. Please help by making a donation and sharing this campaign with others you feel might help too. Thank you! 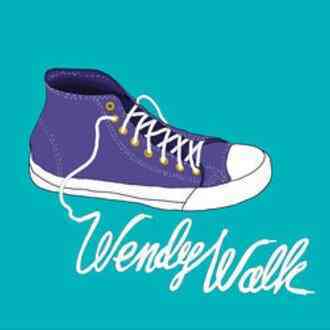 I am helping to support Wendy Walk Foundation. This is an important cause and I’d really appreciate your help. Please spread the word and/or make a donation. Thank you so much! 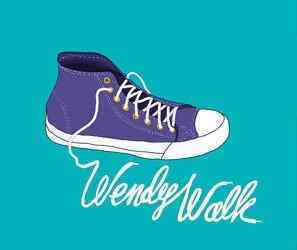 I just made a donation to "Wendy Walk Foundation." Please help me spread the word about this cause or make a donation yourself. Your generous donation goes directly to Wendy Walk Foundation, less credit card processing fees. GivingGrid.com does not take a fee from Wendy Walk Foundation. Please help a little more to support GivingGrid's operating expenses and keep the service free to Wendy Walk Foundation. Why? Unlike most other services, we don't charge Wendy Walk Foundation any fees. It's free to them.